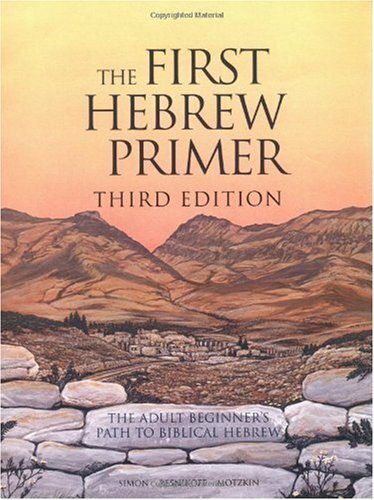 Expert Review of The First Hebrew Primer: The Adult Beginner's Path to Biblical Hebrew, Third Edition by Ethelyn Simon, one of our picks of the top Jewish books for kids! If you are interested in learning how to READ Hebrew but not necessarily speak it, this book is for you. Simply the best comprehensive Hebrew course we could find for the beginning student. Systematically teaches Biblical Hebrew in a straightforward style. 30 lessons include: verb, grammar and spelling charts; vocabulary lists; oral reviews; exercises; stories; biblical quotes; Book of Ruth. Introduces 95% of words appearing over 200 times in the Torah (Hebrew Bible). In the first two lessons, you'll learn the alphabet. By the third lesson, you will begin to read simple Hebrew verses. If you are one of those who say, "I'm not good at languages" - this book is for you. If you put in 15 minutes a day, you'll be amazed at how fast you progress.